Our vision is to see Poland transformed by the Gospel of Jesus Christ and the Holy Spirit through Biblical education and Christian literature ministry. In XVI-XVIII centuries the city of Torun was a flourishing centre of protestant education and publishing ministry. 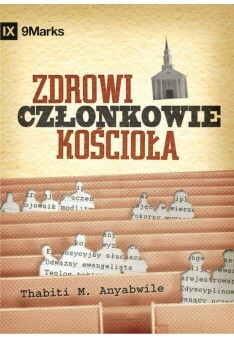 Polish Christian books published in Torun, influenced Poles of the time and many future generations. Piotr Artomius (1552-1609) a Polish protestant preacher and writer working in Torun (who published one of the first protestant Polish hymnals) was placing emphasis on the importance of education. He was warning his contemporaries that desisting from it will result in loosing ground and disappearance of protestant congregations in future. Unfortunately Artomius turned out to be a prophet. Today Torun is a Catholic city, and its population of evangelicals equals the country average 0.1%. Today, deriving inspiration from our predecessors and taking the Artomius warnings to heart, we commit ourselves to revive and re-start a nation-wide education and literature ministry to reach our contemporaries for Christ and help them to grow. We believe that Torun once again could become a flourishing centre of quality protestant education and publishing ministry influencing all the country. To proclaim the Gospel and to teach the nation of Poland through Christian education, literature and other media - that all people shall put their trust in Jesus and serve Him as their Lord in the fellowship of His church. To promote and defend the Bible as the inspired, the only infallible Word of God and a guide to life. To equip church planters, mission organisations, churches and individuals with evangelistic, teaching and pastoral literature resources; to assist them in reaching people for Jesus, teaching/discipling them and preparing for ministry in the Church. To train Christian leaders in biblical, theological and missiological understanding, together with training in practical skills for ministry, in evangelical context. 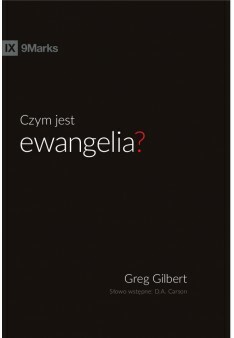 To encourage Polish evangelicals (0.01% of the population of Poland) and to assist them in their spiritual growth through Bible studies, commentaries, discipleship courses, devotional materials both printed and electronic, and to help individuals identify with and relate to the lifestyle and values of Jesus Christ. To conduct the ministry with integrity and fidelity to Jesus Christ and God's Word, and to focus at all times on the interests of God's Kingdom. To seek excellence, efficiency, and effectiveness in whatever we do, and to be good stewards of God's resources. To reduce administrative expenditures and infrastructure to an indispensable minimum in order to use more resources for ministry purposes. To serve as an encourager and equipper to those who are directly spreading the Gospel and ministering to people. To prayerfully depend on God to guide the mission and to provide all the resources necessary to further the vision. To establish partnership with other believers, churches, and groups that can help fulfil the vision, and to be accountable and transparent to our partners in all we do and in all relationships - we will value our donors by providing appropriate financial and ministry reports. To prepare future generations to carry the Great Commission forward until the Lord brings this work to completion; to focus on mission, evangelism, discipleship and training indigenous Christian leaders for future. To be open to all evangelicals (in the context of an unwavering commitment to the biblical view of the Christian message), who are interested in EF literature resources and training. The Evangelical Foundation is founded on evangelical convictions - which we recognize as our 'Statement of faith'. These truths will be reflected in both the content and spirit of our publications. We believe the Bible (66 books) to be the inspired, the only infallible Word of God, the complete revelation of His will for the salvation of men and the divine authority for all matters of faith and life. We believe in one God, Creator of all things, eternally existent in three persons: Father, Son and Holy Spirit. We believe that Jesus Christ is true God and true man, having been conceived of the Holy Spirit and born of the Virgin Mary. He died on the cross as a sacrifice for our sins, arose bodily from the dead, and ascended into heaven. We believe that man was created in the image of God but fell into sin and is therefore lost. Salvation of the humanity is possible only through the merits of the shed blood of the Lord Jesus Christ, received by faith apart from works, and is characterized by regeneration by the Holy Spirit. We believe that the ministry of the Holy Spirit is to glorify the Lord Jesus Christ, and enable believers to live a holy life, to witness and work for the Lord. We believe that Jesus Christ is the Lord and Head of the Church, which is composed of all people who have placed saving faith in Him. We believe in the personal and imminent coming of our Lord Jesus Christ. We believe in the bodily resurrection of the dead, those who are saved unto the resurrection of life, those who are lost unto the resurrection of damnation. Because of the above, in our endeavour we desire for our publications to deepen our readers biblical knowledge, inspire deeper reflection, pose an intellectual challenge and consequently contribute to their spiritual growth in relationship with God. In our mission we remain biblical in all aspects of our ministry.